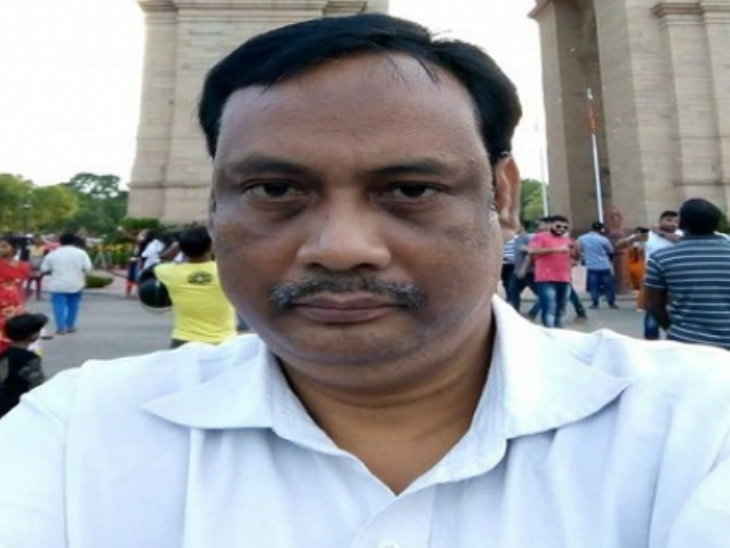 Jadavpur University professor Kanak Sarkar’s Facebook posts drew sharp criticism online. 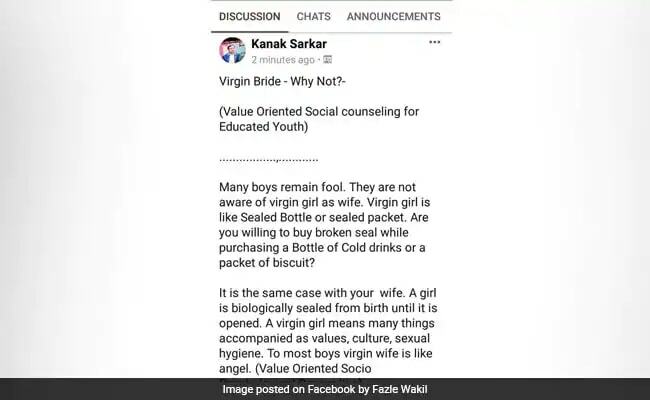 A professor at West Bengal’s Jadavpur University has sparked outrage with his Facebook post in which he compared a woman’s virginity to a “sealed bottle” or “packet”. The post, “Virgin Bride – Why Not?”, was taken down by him later but he continues to defend his statement citing the Supreme Court giving “freedom of expression in social media”. He came up with an explanation on Facebook, arguing that it was his personal post and cited freedom of expression. “I have not written anything against any person, individual or anybody without any evidence or proof or any reference. I am doing social research and writing for the good and well-being of society.” He also justified saying these comments were intended for “fun” among social media friends and “not for public consumption”, reported news agency PTI. Kanak Sarkar deleted his controversial Facebook post. As the professor’s social media posts drew criticism online and in the academic community, Jadavpur University promised to take action. “We will take all steps as per law,” Jadavpur University vice chancellor Suranjan Das told news agency IANS. Meanwhile, other allegations also surfaced on Monday where a journalist said that Kanak Sarkar had asked a female student if she wants to become a model as her “figure” is “very model-like” and if she has many male friends to comment that she is “what men would enjoy”.